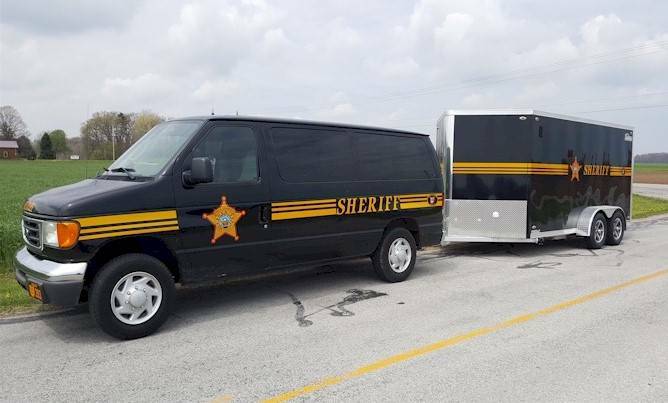 The Erie County Sheriff’s Office Community Service Program is operated in conjunction with the Erie County Common Pleas Court, the Common Pleas Court’s Adult Probation Department, and the Erie County Solid Waste District. The program provides an opportunity for those convicted of non-violent offenses—and either incarcerated in the Erie County Jail or on probation—to volunteer to provide basic maintenance tasks for political subdivisions or non-profit entities throughout Erie County. In return, those volunteers receive credit toward their remaining jail time or toward court-ordered costs or restitution. Deputy Sheriff Ronald Schnittker oversees the Community Services Program and supervises the volunteers while they are working. Anyone affiliated with a governmental or non-profit entity who would like to enlist the services of the program’s volunteers should email Deputy Schnittker at rschnittker@eriecounty.oh.gov for details and scheduling.